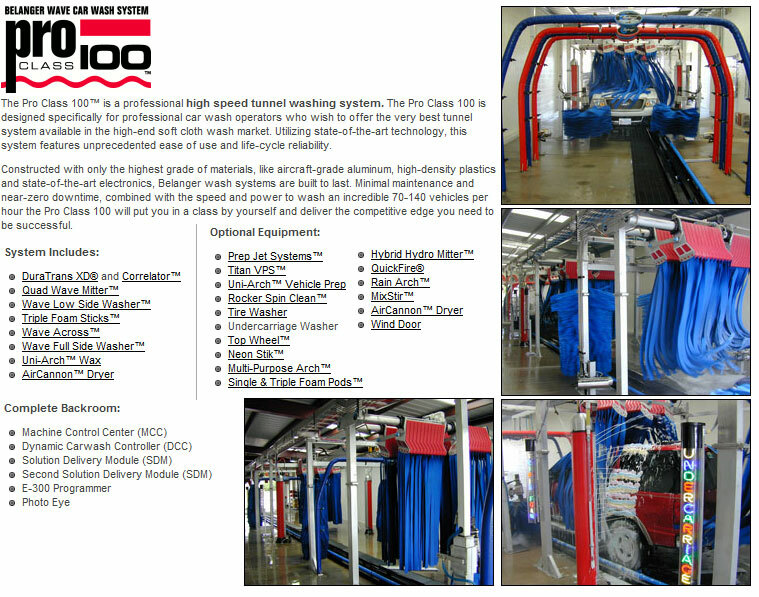 Advance Car Wash Solutions subscribes to the National Car Wash Manufacturers Association Certification standards to insure that your Car wash Systems are safe and profitable. This includes adhering to a Customer Bill of Rights. Should we fail to live up to any of these commitments, please let us know so that we can address the matter immediately. 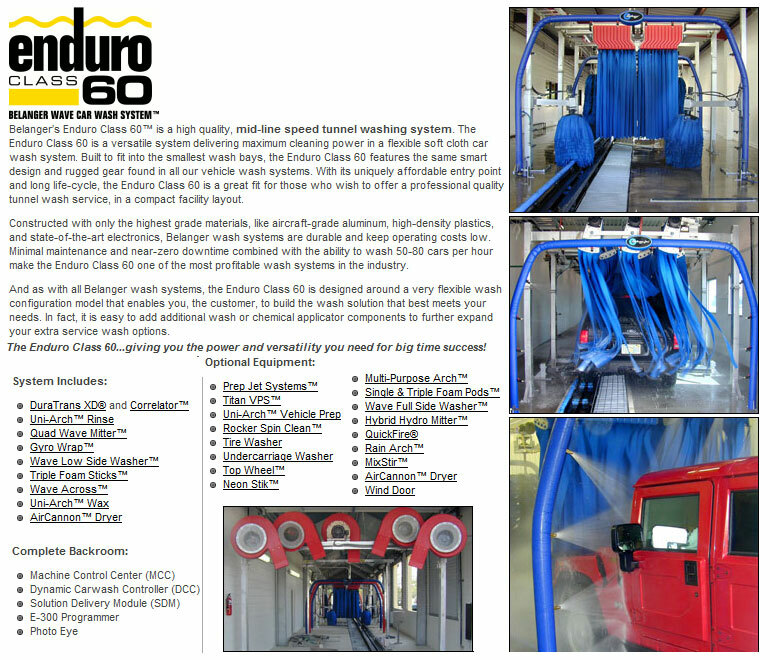 Our goal is to enhance your Commercial Car Wash by providing helpful employees, quality products, and reliable service. Advance Car Wash Solutions is able to provide you with very knowledgable technicians in the event that your machine needs servicing. 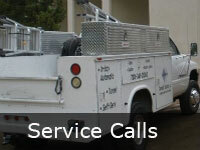 We provide service 24 hours a day, 7 days a week. 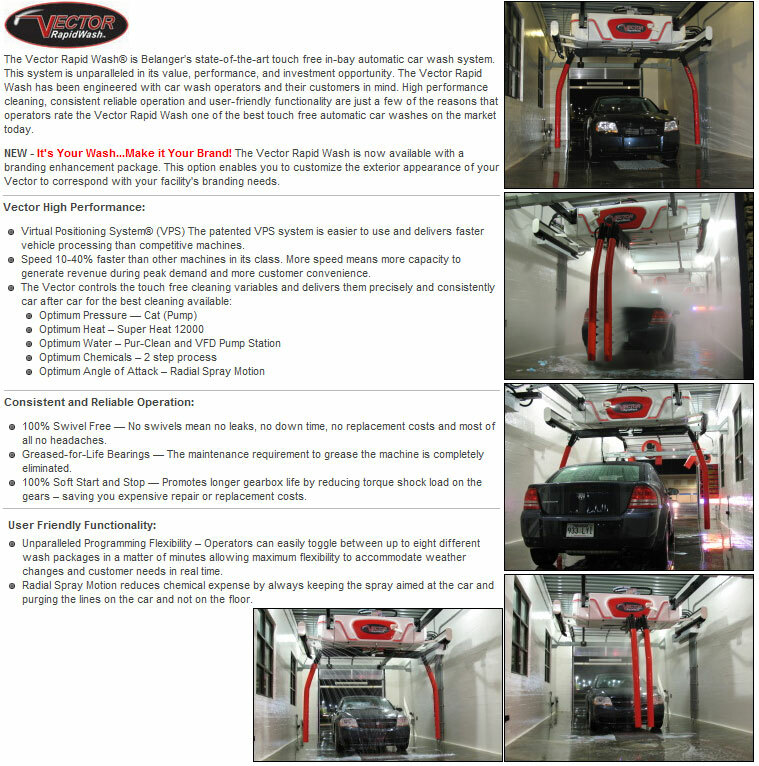 Although there will always be certain jobs that a certified technician should perform, there are many very important steps that you can take that will ensure your car wash stays operational year-round. 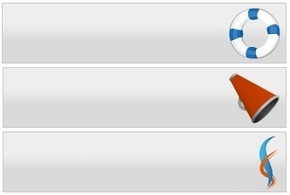 Keeping up on the following items are an integral part of owning and caring for your investment. Please keep in mind that this is a SAMPLE maintenance schedule, and has been posted as an EXAMPLE ONLY. 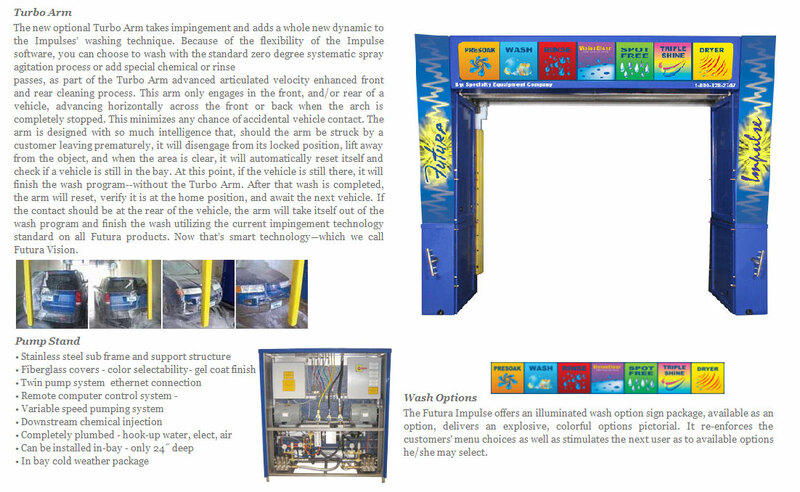 Advance Car Wash stands behind each peice of equipment they sell, and will provide an up-to-date and equipment-specific maintenance schedule to each client upon completion of their installation. 1. Change Spot Free Filter after the first two weeks of use. 2. Tighten all hose clamps in equipment room once a week for the next four weeks. 3. Purchase 3 – 40 Amp Fuses and 3 – 70 Amp Fuses. The number of the fuse can be found on the fuse in each disconnect. 4. Tighten sideboom rollers on Karcher after first two months of use. 5. Buy an Ideal 61-732 Model volt meter. 1. 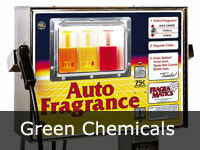 Check all chemical levels in equipment room. Add if necessary. 2. 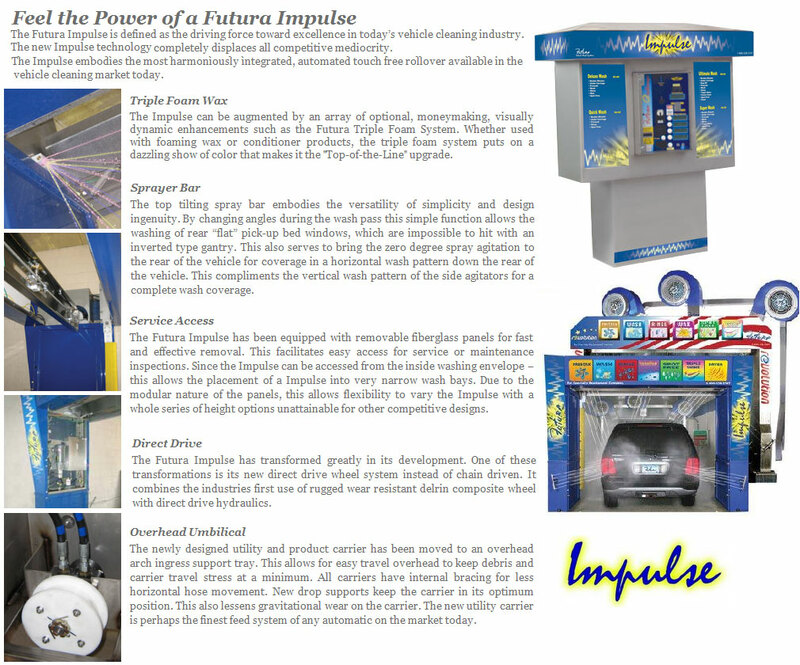 Test Self Serve Bays. b. All functions are working properly. c. Last minute horn sounds at one minute. d. Wand and brush are working properly. f. Clean bay and brush. 8. Test hot water tank for hot water. 9. Check overhead heat fluid level. Fill with RV anti-freeze if needed (Winter). 10. Check salt level in brine tank. Fill with Coarse Grain Softener Salt. 12. Check automatic is washing correctly. 13. Check nozzle tips for blockage. Clean as necessary. 14. Check current time on charcoal filter. Adjust if necessary. 1. Drain fluid from air compressor. 2. Clean air intake filter. 3. 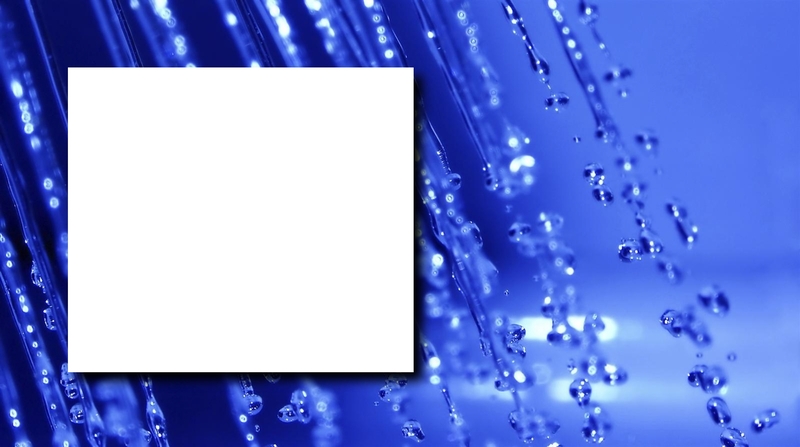 Clean or replace mushroom screens in Fluid Module chemical tanks. 4. Clean or replace foot valves in chemical drums. 5. Check Under-floor Heat fluid level. Fill with RV anti-freeze if needed (Winter). 7. Lube automatic chain with PJ 1 Chain Lube spray. 8. Clean all eyes on automatic and walls with a soft cloth. 9. Clean roof beam glides and track on automatic. 10. Wash down roof beam and touch pads on automatic. 11. Check weep on automatic (Winter). 13. Check air oiler on Karcher pumping station. Refill with Pneu lube when empty. 14. Clean all credit card readers with Card Reader Cleaners. 15. 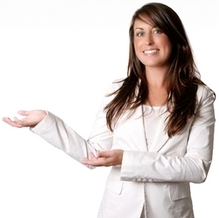 Verify the water heater and boiler are receiving adequate combustion air. Make sure louvers are working properly and there are no obstruction from louver to water heater and boiler. 1. Drain air filter on air compressor. 2. Clean in-line water strainers on each Cat Pumps. 3. Apply 3 drops of All Purpose Oil into each cat pump head orfice. 5. Verify automatic gantry is not twisted on rails. 6. Verify high pressure pumps are not dripping from bleed holes more than 10 drips per minute. If pumps are dripping more than 10 drips per minute, call for service. 7. Check that moveable side boom is not loose. Tighten rollers if necessary. 8. 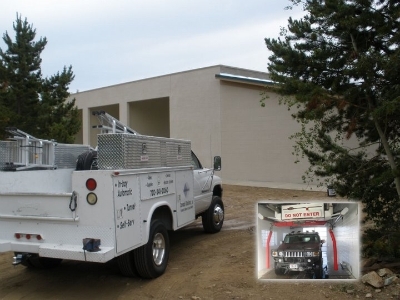 Inspect roof beam and side boom chains. Tighten if necessary. 9. Inspect lower sprocket housing on roof beam. Clean as necessary. 10. Inspect side boom and roof beam touch pads. 11. Lubricate garage door rollers and hinges with WD-40 lubricant. 12. Check burner for black soot accumulation in both the floor heat boiler and water heater. If present, have boiler serviced. 1. Change Spot Free Filter. 3. Check set screw tightness on door operator sprockets. 4. Check & lubricate door operator bearings and shafts. 1. Change oil in all Cat Pumps with Cat Pump Oil. 2. Change oil in air compressor with Air Compressor Oil. 3. Check belts on all Cat Pumps for wear and tension. Replace if necessary. 4. Check belts on air compressor for wear and tension. Replace if necessary. 6. 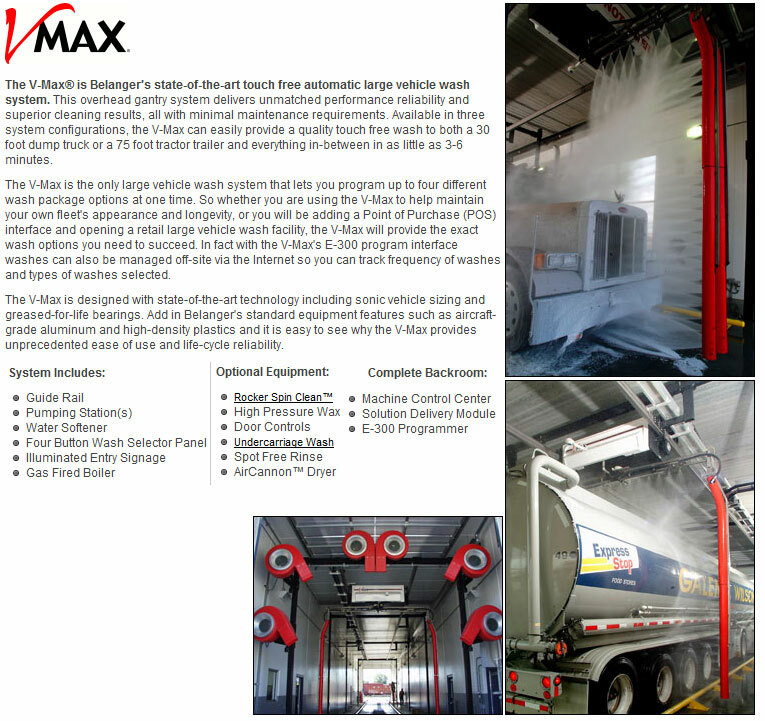 Inspect automatic roof beam and side boom chains for wear or damage. Replace if necessary. 7. Inspect hoses and wires in gantry energy chain on automatic for excessive wear. 8. Inspect wires in side boom energy chains. 9. Inspect hoses on automatic pumping station and gantry for excessive wear. Re-route or protect as necessary. 10. Inspect all automatic photo eyes (i.e. contour roof beam, stop,back up, undercarriage, and door eyes). 11. Inspect bolts, shaft, and bearings on 360 degree boom plates in self serve bays for wear or damage. Replace if necessary. 12. Tighten all hose clamps in equipment room and on automatic. 13. Check door operator fasteners. Tighten if necessary. 14. Check and operate door operator manual disconnect. 2. Replace valves and seals in all Cat Pumps. 3. Professionally clean hot water heater and floor heat boiler. 4. Tighten all nuts and bolts on automatic wall brackets. 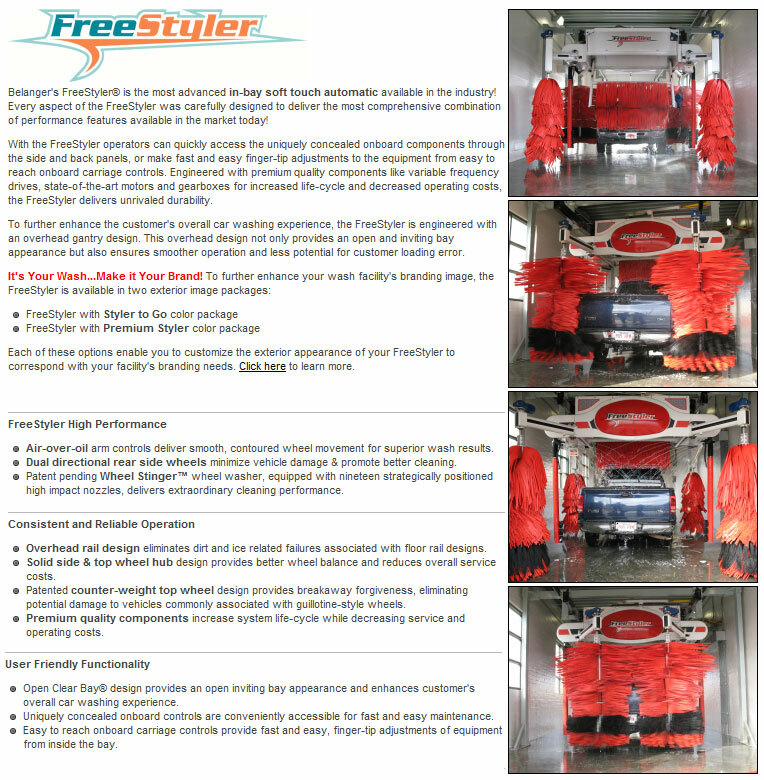 Again, this schedule has been posted as a SAMPLE only, and must be customized and updated to fit your specific commercial car wash model. 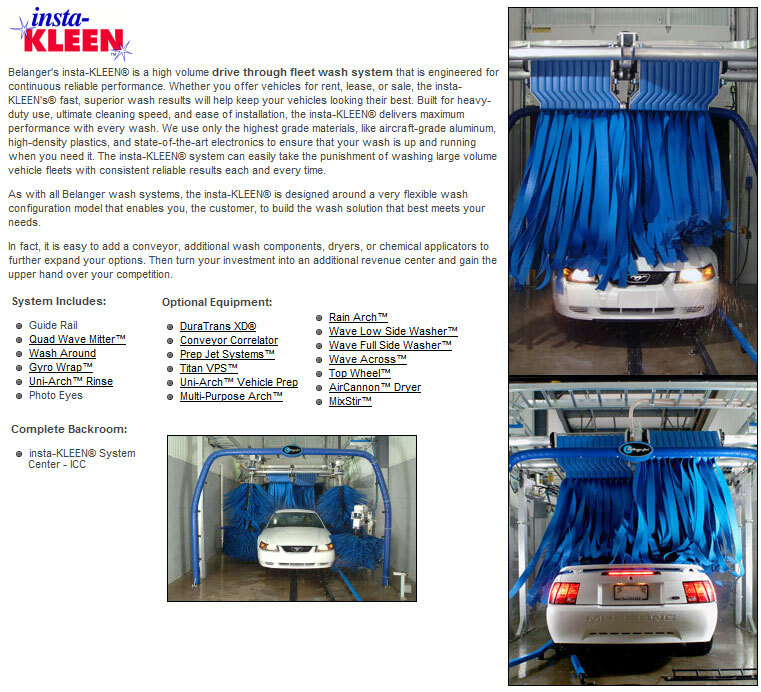 Advance Car Wash Solutions Performs regular preventitive maintenance on your car wash will more likely prevent costly service calls and repairs. 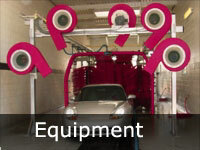 Advance Car Wash Solutions prides itself on walking it's customers through every step of this process. Please don't hesitate to ask questions!